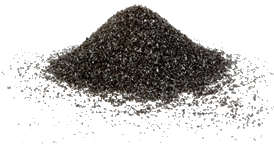 AllBlackEarth is the provisional name given to the Biochar Interest Group of New Zealand (BIG-NZ). We think the name is quite ‘catchy’ but it is open to further comment. The concept of a NZ biochar interest group has been under discussion between biochar enthusiasts for a number of years. A call to arms was circulated in March 2012 to a circulation list of ~130 potentially interested folk. Our plan was to gather a voluntary ‘interim management team’ to undertake the work leading to a (this) NZ interest group. We clearly needed a bit of biochar in our diet as project development has been slow. But here we are, with a brand new website. Where this will lead remains to be seen and will be dependent on your encouragement and participation. Our initial group (11 of us) congealed around a google+ group about one year ago. Since then, we’ve been posting news reports, relevant for biochar in a NZ context. We have migrated some of these old posts to this new site to kick things off. So some of it may be a bit dated but fell free to leap in with your comments. Our current structure is informal… we encourage you to get involved so that the path this group takes may better reflect the diversity of people producing and applying biochar in the NZ environment. I am looking for contact details of Trevor Richards. Can any body help. We are Toronto Canada based start up looking for Biochar – smokeless coal manufacturing for India and East Africa to save deforestation – to be used as cooking fuel. You’ve found me (I maintain the website! ).